Long reviled as a dietary evil for its high levels of saturated fat, coconut oil is enjoying a resurgence in popularity. 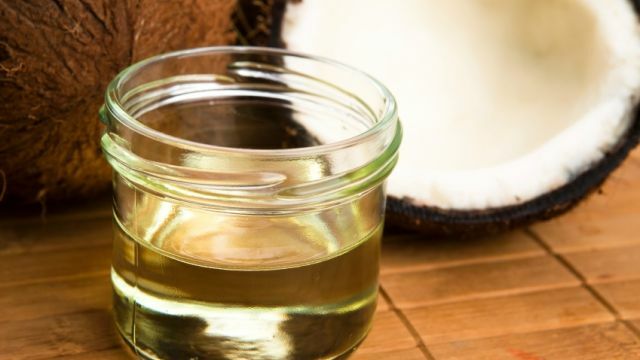 Historically used as a holistic cure for a number of physical ailments, modern medicine has rediscovered the health and healing benefits of coconut oil. Coconut oil has been used as a traditional medicine around the world for thousands of years. 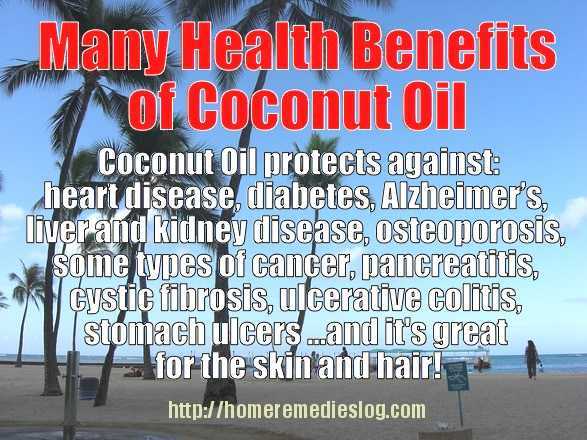 From asthma to baldness to fever and flu, to skin infections, wounds, and even sexually transmitted diseases, coconut oil has been used to improve the symptoms or to cure the underlying disease. In India, coconut oil is an important component of Ayurvedic medicine. In Panama, drinking coconut oil is believed to prevent illness—or if already ill, to speed up recovery. Jamaicans believe that coconut oil benefits your cardiovascular system. In East African countries, coconut oil is regarded as a panacea, and recommended to heal almost every ailment. In parts of Southeast Asia, coconut oil is used to maintain hair health and to speed the healing of skin issues like burns, cuts, and bruises. Modern medical science has discovered some scientific basis for these historical uses of coconut oil. Current research suggests that coconut oil can actually protect against heart disease, despite the high saturated fat content. This protection is due to the type of saturated fat found in coconut oil, which is medium-chain fatty acids (MCFA). Compared to saturated fat found in animal products, which are primarily long-chain fatty acids, MCFAs lower the risk of atherosclerosis and do not increase cholesterol levels. Coconut oil also protects against diabetes as it positively affects hormones for thyroid and blood sugar control. People who take coconut oil have better blood sugar regulation and improved insulin uptake. It also can provide relief from symptoms arising from various skin irritations and ailments. And, studies have shown, regular intake of coconut oil can improve the immune system and increase resistance to viruses, bacteria, and various fungal infections. In addition to being a holistic cure-all, coconut oil has a multitude of other uses. For example, coconut oil is an excellent vegan substitute to butter in baking, as they are both saturated fats and behave similarly (both are solid at room temperature, which means creaming and whipping the fat is an option, unlike other vegetable oils). Cooking with coconut oil is also a great choice since it has a higher smoke point than other oils—meaning it will stay stable at higher temperatures. 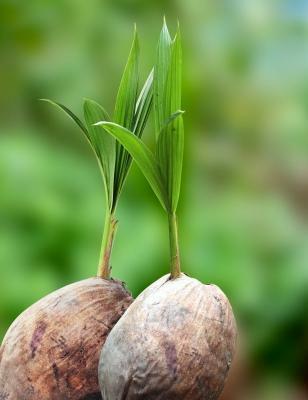 Coconut oil is also an excellent at-home remedy for improving hair growth and skin condition. It is an excellent moisturizer and deep hair conditioner as it helps strengthen underlying tissues. The oil also works as an exfoliant, removing dead cells from the skin’s surface, and therefore improving skin texture. In tandem with other all-natural oils and compounds, such as jojoba oil, kojic acid, and glycolic acid, it is one of the healthiest ways to achieve strong, glowing skin. And coconut oil has shown some promise as a weight loss food. Restricting carbs and increasing coconut oil seems to lead to moderate weight loss. As coconut oil is immediately utilized by the body as fuel, it is less likely to be stored as fat, unlike other fats. Also, this oil improves thyroid function, and correspondingly, metabolism, which means more calories burned at rest. This seems to be in part due to those MCFAs creating a thermogenic (or calorie-burning) effect. Coconut oil’s many uses and health benefits mean it should be a household staple. Increasing the use of coconut oil also means increased availability. Reap the rewards and preventative aspects of the oil by incorporating it into your daily routine. Marcela De Vivo is a freelance writer in the Los Angeles area. She is founder of Gryffin Media and has written on everything from health & wellness, marketing, real estate, technology, and manufacturing. Flaxseed Oil Benefits - New Health Wonder! Thanks you for providing all the great information Sam. You’re welcome… There is some very interesting and helpful articles in this site if you really have a good look around. Enjoy. Could you tell me how much children should consume. Just a couple of tablespoons per day should be enough.